MOP Squad Sports is a growing sports community of fans. Here at MOP Squad Sports, we like to think that the site is all about the fans. The site will provide sports news, opinion, and resources for the fans -- by the fans. People always ask what the significance of the name MOP Squad Sports is. Quite simply, it refers to what this site was originally intended to be... resources for a fantasy baseball league run by a group of co-workers. We worked at a building called Maple Office Park, which was sometimes shortened to MOP. Therefore, we referred to the fantasy baseball league as The MOP Squad. Naturally, the site would be MOP Squad Sports. Needless to say, the site's grown in scope since then, but it was only fitting to keep the same name. MOP Squad Sports would be nowhere if it wasn't for our passionate group of writers and editors. These individuals are responsible (along with the rest of our writers) for making this site what it has become. » Pete Lamont - Editor-in-Chief: Born and raised in the metro Detroit area, Pete has seen the highs and lows within the sports world: An ever-faithful fan of the Tigers, Lions, Red Wings, Pistons, U of M football, Michigan State basketball, Pete has witnessed some great teams, and some lousy teams over the years, yet always seems to be able to remain optimistic and faithful to his teams. Using experience in web design gathered from different jobs, (Pete has over eight years experience working on major corporate accounts as a web designer / content management specialist), as well as his love of sports, Pete has strived to create a web site that create its own niche in the market, a place where all fans could come together with fans of other teams. 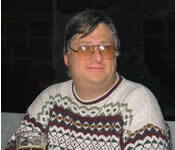 » Mike Wilson - Assistant Editor-in-Chief: Born: Jan. 27, 1964, Glendale, CA. Raised on the southeast side of Chicago. Graduated from George Washington High School (82) in Chicago. Associate degree in management from Calumet College of St. Joseph (1986) in Whiting/Hammond, IN. Bachelor of Arts in history from Northwestern University (2000) in Evanston, IL. Currently employed as a library technician at a law firm in Chicago. Has absolutely no experience in sports writing. Fan of Chicago Cubs and White Sox baseball, Chicago Bears football, Chicago Blackhawks hockey, Northwestern sports, UIC basketball and baseball. Lesser fan of many other teams including, but not limited to, Lake Superior St. hockey, Calumet College basketball (NAIA), Chicago Rush ARENA football, (Glasgow) Celtics Football Club (soccer for you Americans). » Marlene Malone - Associate Editor-in-Chief: Marlene has been writing since she was old enough to hold a pencil. Originally born and raised in the Mississippi Gulf Coast, she now makes her home in Jacksonville, Florida. Marlene was brought up around sports and was the first female Sports Editor for her high school newspaper. She attended college on an athletic scholarship, but had to leave her Senior Year due to the untimely death of her mother Jeannette (you’ll see references made in some of her original work to Jeannette). She is now a respected member not only of the employment leasing industry, but also of the local journalism community. She is also in her last year of completing her Bachelor’s Degree in Juvenile Justice. Even with her busy schedule, Marlene still finds time to cover local high school sports for a small independent newspaper in her area. Some of her favorite sports are football, wrestling, golf, swimming, fencing, baseball, rugby and hockey. She is an avid FSU fan, never missing a televised game. Her favorite football teams include the Atlanta Falcons, New Orleans Saints, Green Bay Packers and the Kansas City Chiefs. She loves watching any hockey team, and her favorite wrestling promotion in NWA: TNA. » Brian Pike - Hockey Editor: A recent graduate of the University of Alberta with a bachelor's degree in Ancient and Medieval History, Brian gets a little thrill every time one of his articles appears on MOP Squad. With little experience, a smattering of writing ability and a thorough knowledge and love of the sport, Brian enjoys expounding on subjects throughout hockey as often as possible. Raised in central Alberta, where hockey is king, during the dynasty years of the Edmonton Oilers, Brian is a fan of both the game's history and its present and likes nothing better than discussing the sport with fellow fans and defending his own opinions. 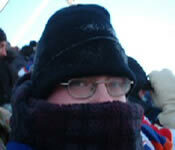 Some of the personal highlights of his previous work with MOP Squad Sports include covering the Heritage Classic outdoor game in Edmonton (pictured), writing team previews for every squad prior to the 2003-04 season, and analyzing and attempting to predict the outcome of the 2004 playoffs, with moderate success. Brian is looking forward to continuing to offer his hockey insights for MOP Squad, and hopes to turn the writing and editing experience gained here into a possible career in the field. 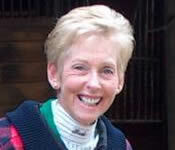 » Barb Pinnella - Wrestling Editor: With a BA in English but a horse trainer by profession, Barbara did not get to incorporate her love of writing until 1997 and 1998, when she wrote for the International showjumping magazine, Jump!. This also allowed her to travel to Europe, covering some of the largest competitions in the world. When the magazine was sold, her writing opportunities left also, and she shortly began to have writers withdrawal. Barbara's interest in professional wrestling began in 2000, and a year later she wrote her first wrestling column. She now posts to more than 15 sites each week, as well as writing articles on professional bull riding and the occasional showjumping competition. She always tries to watch wrestling and bull riding when it comes on television, enjoys reading murder mysteries, and spends time working with her Welsh Corgi with the hopes of entering agility competitions in the future.